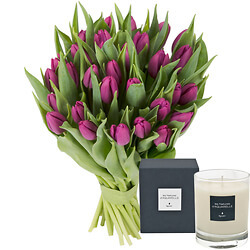 Discover our finest bouquets of seasonal flowers, either on their own or with chocolates and scented candles to make sure the recipient will be delighted. 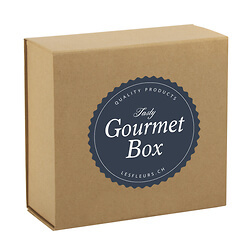 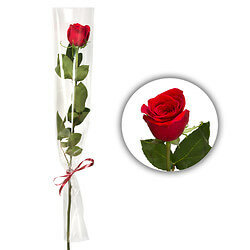 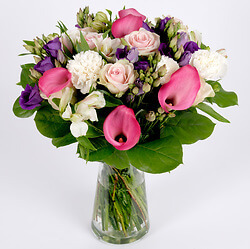 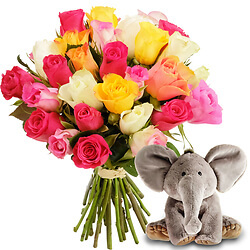 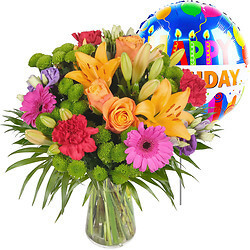 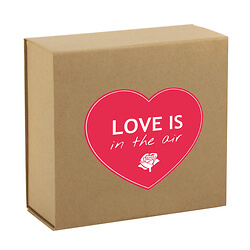 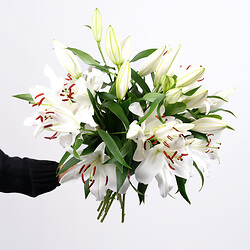 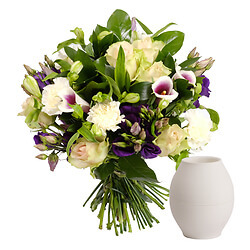 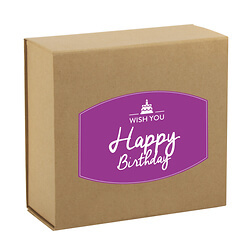 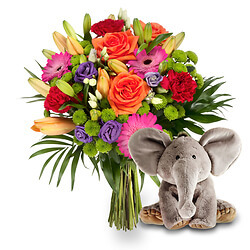 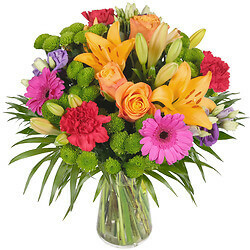 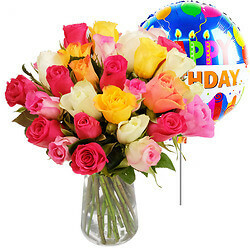 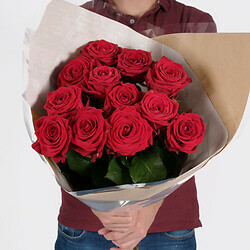 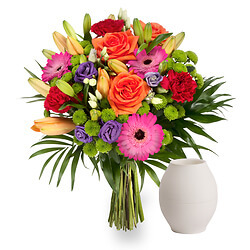 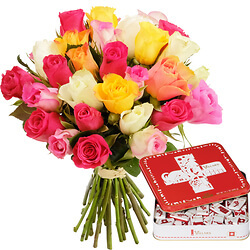 Daily-Flowers delivers your flowers to the address of your choice anywhere in Switzerland and Liechtenstein! 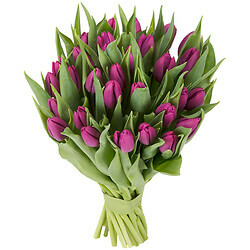 A bouquet of purple tulips accented with light greenery. 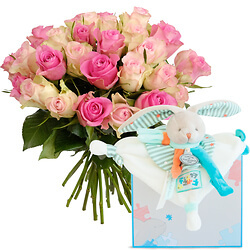 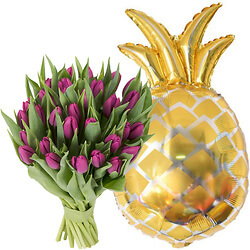 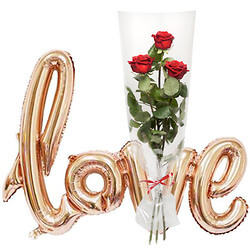 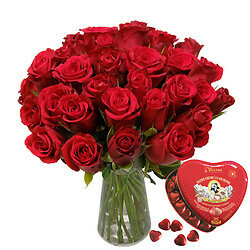 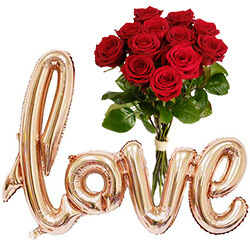 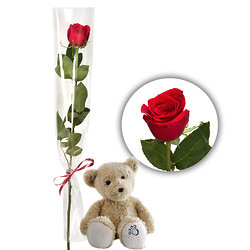 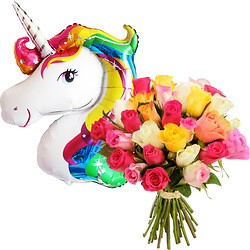 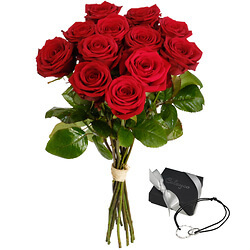 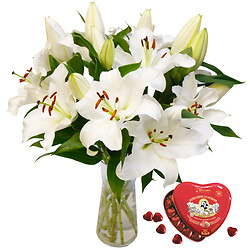 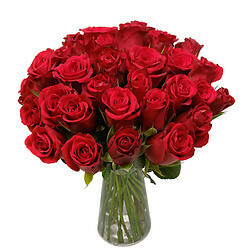 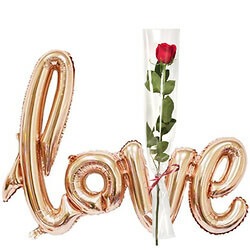 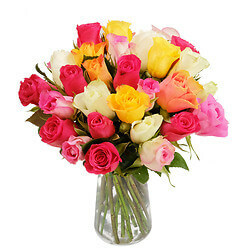 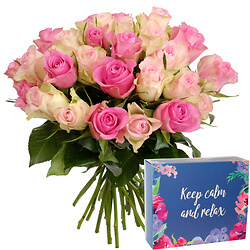 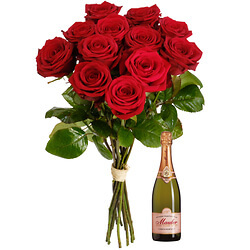 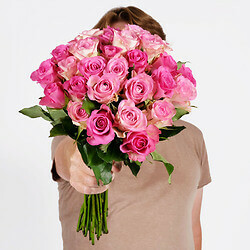 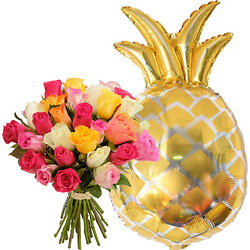 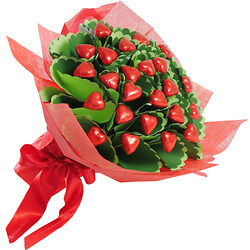 An ideal bouquet for expressing all your love to the one you love. 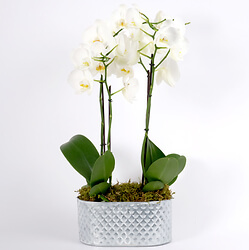 A very beautiful and imposing composition of two white orchids of the 'Phalaenospis' variety. 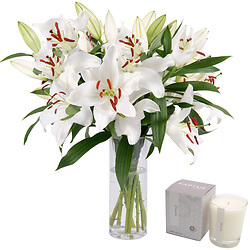 These plants' longevity ensures that you will be able to enjoy this beautiful composition for a long time. 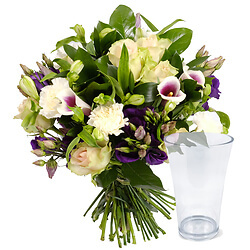 Delivered in a pretty varnished metal vase. 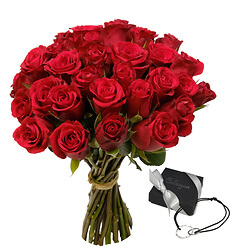 An impressive gift! 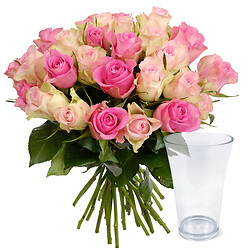 Wunderschöne und imposante Komposition aus zwei Rosa Orchideen. 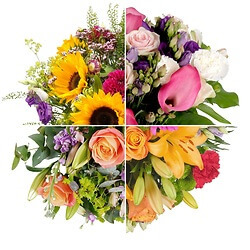 Die Pflanzen sind langlebig, Sie werden daher lange Freude an der wunderbaren Komposition haben. 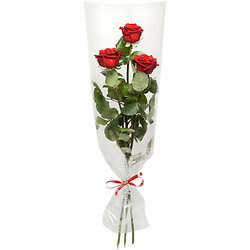 Zustellung in einer hübschen Vase aus lackiertem Metall. 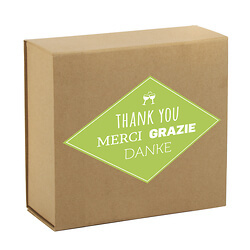 Ein umwerfendes Geschenk! 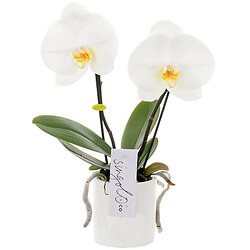 A great classic of our interiors, the Phalaenopsis orchid is also known as the butterfly orchid, thanks to its graceful and beautiful butterfly-shaped flowers. 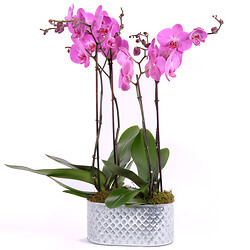 This orchid of the variety "So Satisfied" embodies with perfection beauty and femininity. 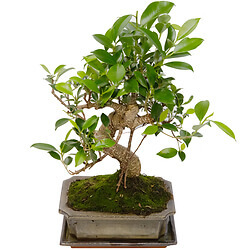 It will be accompanied by an elegant lacquered ceramic pot. 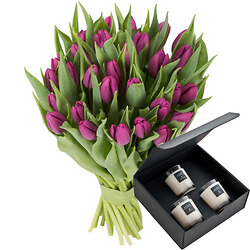 It is delivered with a lacquered ceramic pot holder. 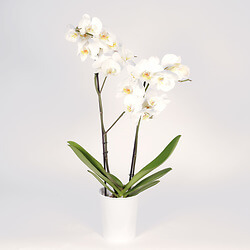 This orchid will be delivered with a 190g "Garden Rose" scented candle.